How about pastel pink chocolate to celebrate the coming birth of a baby girl, or baby blue for a boy? 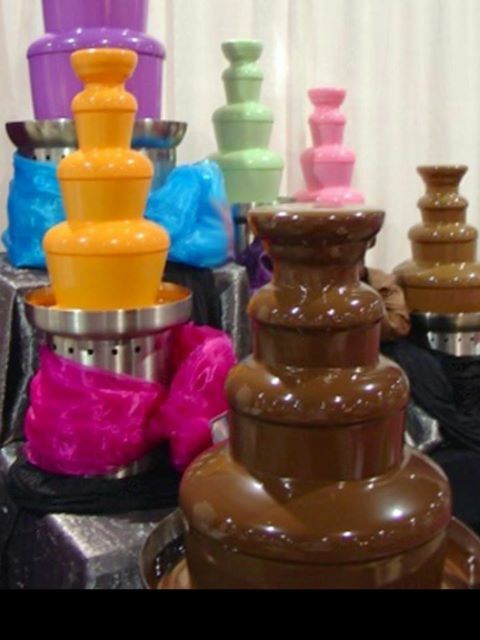 That’s right, not only can you make your event extra special with a chocolate fountain, you can make it extra unique in 30 flavors, too! Or if taste turns to other blends our fountain can be Peanut Butter, Carmel, or Cheese, mix with pretzels, breads and meats for elegant party fare.